Poets Eleanor Jackson and Betsy Turcot (The Belles of Hell) wowed Brisbane at last year’s Anywhere Fest with She Stole My Every Rock ‘n’ Roll. This year, they’ve got a new poetic dialogue in store: Chosen Family. Q. Describe your show in under 25 words. A. Two women trading poetry about the strange, painful-beautiful of family, piecing together a montage of grainy family photographs and giving them a glossy finish. Photoshop for the soul, so to speak. Q. Anywhere Festival is about making art everywhere. What makes your venue unique? A. The venue (the beautiful back deck of Justice Products) is the perfect place for a Queensland family Christmas, complete with tin roof and timber decking. Spiral Community Hub, which operates Justice Products, is not just a beautiful shop, it’s an amazing community space that runs training, community workshops and supports local people to develop more sustainable lives. Might be a little cold though at night though, so we’ll try to warm you up with some tea. BYO bunny rug if you get chilly! Betsy and I are particularly interested in the Anywhere Theatre Festival for the way that it partners performers and community spaces, with great support from venues. It’s why we held She Stole My Every Rock ‘n’ Roll at Jet Black Cat — to support a queer local business, and this time at Spiral/Justice, because it’s got a great local community connection. Q. If you could have your show run absolutely anywhere in the universe and at any point of history, where would you run it (after West End, of course)? A. Well, There’s no time like the present, so Betsy and I would love to hit the Big Apple where her family could see us perform. Time to start fundraising! Q. You and Betsy have brought the poetic dialogue to the fore in Brisbane — and perfected it. What does Chosen Family bring to the form? A. (blush) In writing Chosen Family, we have thought about the simplest and clearest way to create space and connection between people — not by shouting each other down but making space for everyone to whisper. Because sometimes only when it’s quiet can you say true things. CHOSEN FAMILY runs at Justice Earth Building, 192 Boundary St, West End from 16 to 18 May, 2013. 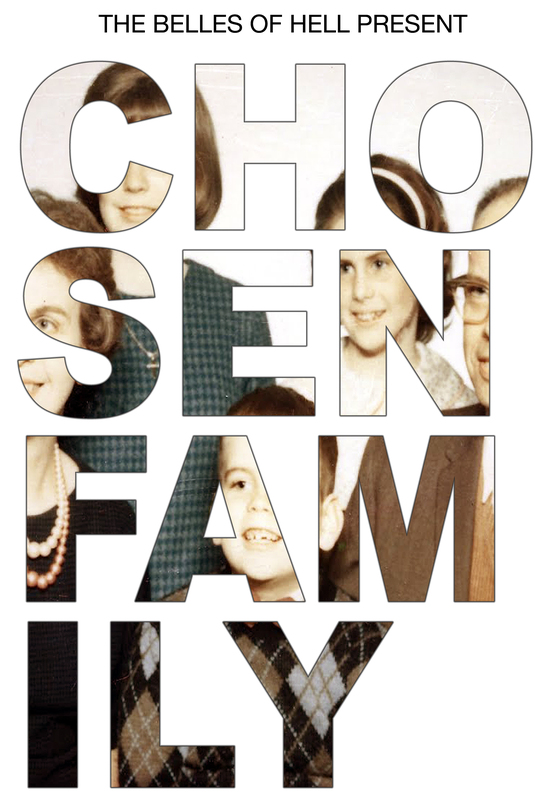 We are getting proper excited now – the lovely Zenobia Frost asked Betsy and I few lovely questions about Chosen Family, here’s what we said. Super sincerely, I believe.